You can smell it when you walk down the laundry aisle. Sometimes it’s so bad you have to cover your nose. It’s not just your imagination. In 2008, scientists reported on the toxic chemicals in laundry detergents and other laundry products. This probably comes as no surprise to you—most of us know that with synthetic fragrance come chemicals that our body doesn’t care for (to put it lightly). Since 2008, more chemicals found in common grocery store detergents have surfaced. In fact, we found seven more, and have listed them for you here, along with some healthier alternatives. You shouldn’t have to suffer asthma or dermatitis just to have clean clothes. First, let’s look at that study. Researchers from the University of Washington studied top-selling laundry and air-freshening products and found that they emitted dozens of different chemicals. All of them gave off at least one identified as toxic or hazardous under federal laws! Worse—none of these chemicals was listed on the label. Where were these chemicals found? Among the products tested were a dryer sheet, a fabric softener, and a laundry detergent, as well as spray and plug-in air fresheners. Results showed nearly 100 volatile organic compounds (VOCs) emitted from the six products, and none were on the label. “Five of the six products emitted one or more carcinogenic ‘hazardous air pollutants,’ which are considered by the Environmental Protection Agency to have no safe exposure level,” said study author Anne Steinemann. That’s not all. A later 2011 study by the same researchers found that air vented from machines using top-selling scented liquid laundry detergent and scented dryer sheets contained hazardous chemicals, including two classified as carcinogens. 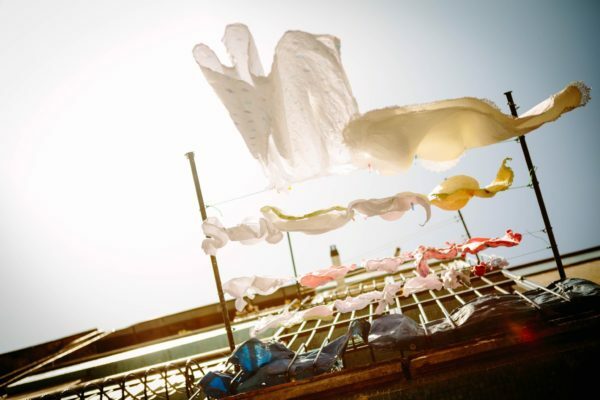 For the study, researchers ran a load of laundry once with no products, once with a leading brand of scented liquid laundry detergent, and once with both the detergent and a dryer sheet. They captured the exhaust from the dryer vent with a canister. An analysis of the captured air showed more than 25 VOCs, including seven hazardous air pollutants. The two carcinogens were acetaldehyde and benzene. This is one of the main problems, and the focus of the two studies above. Manufacturers combine a number of chemicals to produce a fragrance—so you’ll believe your clothes are clean because they smell clean—and they don’t have to list those chemicals on the label because of trade protection. As we’ve seen, some of those chemicals can be very toxic. These are included in the formula to help the product clean better. Examples include chemicals like quaternium-15 (known to release formaldehyde, a known carcinogen), diethanolamine (linked with skin and eye irritation and possibly liver problems), nonlphenol ethoxylate or NPE (toxic to nerves, irritating to skin, potential hormone disruptor, toxic to aquatic life), linear alkyl benzene sulfonates or LAS (irritating to skin and eyes and toxic to aquatic life; benzene on its own is a carcinogen), and petroleum distillates (linked to cancer and lung damage). These chemicals help stabilize the formula, so that it lasts longer on the shelf. Examples include polyalkylene oxide or ethylene oxide, which are linked with eye and lung irritation, and even dermatitis. Bleach may be used separately or may be included in the detergent itself. It’s known to irritate skin, eyes, and lungs, and when it mixes with wastewater, it can form toxic organic compounds that have been linked with respiratory issues, liver, and kidney damage. This is a chemical by-product of detergent manufacturing. In independent tests, Women’s Voices for the Earth found 89 parts per million (ppm) in Tide Free & Gentle and 63 ppm in regular Tide. They helped increase awareness, and Proctor & Gamble agreed to reformulate to reduce levels to below 25 ppm. Future tests should show whether they made good on that promise. You’ll find these in detergents advertising their “brightening” powers. Brighter whites! Brighter colors! What’s creating all this brightness? 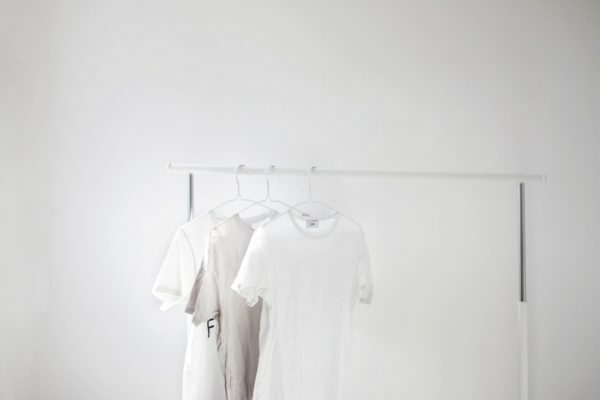 Chemicals that actually remain on the clothes to absorb UV light and help clothes “appear” brighter. We’re talking things like naphthotriazolystilbenes (linked with developmental and reproductive effects), benzoxazolyl, diaminostilbene disulfonate, and more. Since these remain on the clothes, they are likely to come into contact with skin. Manufacturers use these to make detergents more effective in hard water, and to help prevent dirt from settling back on clothes when they’re washing. These chemicals have long been associated with environmental damage, particularly in our streams and waterways. They cause algae blooms that damage ecosystems. Many detergents have eliminated these, but they’re often using ethylene diamine tetraacetic acid (EDTA) in its place, which does not readily biodegrade, and has been found to be toxic in animal studies. It’s not hard! All you need is a little washing soda, borax, and unscented bar soap like Dr. Bronner’s. Wellness Mama has a great recipe, and you can find others online as well. If you don’t want to do it yourself, look for the safer options out there. The Environmental Working Group has a great laundry guide where you can find those products that scored the lowest hazard rating. A half-cup of vinegar added in the rinse cycle will produce the same results without the toxic chemicals. Instead of using chemical-laden stain removers, simply pre-treat your stain with a combination of washing soda, baking soda, and water. A little baking soda added to the wash cycle will naturally brighten colors, without the clingy chemicals to irritate your skin. Want to reduce static cling? Try a dryer ball. You can find them just about anywhere, or you can make your own. DIYnatural has directions, as does Petalstopicots.com. If you miss the fragrance of your dryer sheet, add your favorite essential oil to a damp rag and throw it in with your load during drying. This helps to get rid of any soap scum, bacteria, or other icky things that have collected in your machine over time. Simply add some white vinegar into a hot water cycle and run. Do you make your own laundry detergent or dryer sheets? Please share your tips with our readers! University of Washington, “Toxic Chemicals Found in Common Scented Laundry Products, Air Fresheners,” Science Daily, July 24, 2008, http://www.sciencedaily.com/releases/2008/07/080723134438.htm. Anne C. Steinemann, Lisa G. Gallagher, Amy L. Davis, Ian C. MacGregor, “Chemical emissions from residential dryer vents during use of fragranced laundry products,” Air Quality, Atmosphere & Health, 2011; http://link.springer.com/article/10.1007/s11869-011-0156-1. Its almost as if laundry detergent isnt food or a smelling salt. There is always some sort of side effects of using detergents i feel. Love using my plant based Thieves laundry soap! Ditching and switching! Thanks for sharing this great information. I think it’s absolutely scandalous that these companies aren’t required by law to release their ingredients. Great article, and really thought-provoking. Regarding natural laundry detergents, I have heard reports of Indian Soap Nuts being a good alternative. People are also using essential oils such as Lavender and Chamomile to make some, too. Are Optical Brighteners found in 20 Mule Team Borax? The only contents I found on the box was sodium borate. Wanted to know if there were any additives in 20 Mule Team. Thanks! The ingredient I find the most annoying is the ‘fabric softener.’ I keep wondering to myself why manufacturers can exchange harmful chemicals with safer ingredients. Thank you for the heads up on these toxic chemicals. With more public awareness, it is possible for these manufacturers to change their ways..
Ann Marie, good summary, thanks for sharing. I like to smell detergents,is it dangerous? I didn’t know Young Living had a laundry detergent?? I only knew of household cleaner liquid. Please advise. Thanks. Yes…its fantastic! Smells good and is good for you! Made up of essential oils 🙂 One of my good friends just did a science fair project using thieves, bleach, and windex on a swab taken from the bathroom (around toilet, sink and tub)! All grew bacteria except for the one using thieves. I trust this product around my nieces and any pets! My apologies for my earlier comment, I saw cleaner and my mind went with cleaner lol The detergent is great, no remaining residues and a little goes a long way! Literally the amount they say to use is all you need. Smells fantastic too 🙂 They have a whole line of thieves products toothpaste, cough drops etc. Thank you , I’m doing research for a course I run for domestic workers and Nannies in South Africa . Its a common job for the mass of unemployed women but these women are the highest exposed to these chemicals all day every day and then go home and use the very same stuff! My lives work is to educate and bring alternatives that are better for us and the planet . I found you info really helpful and will stay in touch . I havn’t tried this myself yet as I only very recently read about it, but soapnuts or soapberries (they are not actually nuts at all) are totally natural and can be used as a natural laundry detergent or you can make your own liquid soap from them. They grow on trees in warm climates and apparently there are different varieties with some better than others. The website provided has some very interesting bits of information about this product. It would seem like they would be economical too as you only use 5 or so for a load of washing and you can use them 4-5 times before composting. Sounds like a great idea so when my washing powder runs out I fully intend giving this a whirl. I hear conflicting information about Borax and it’s safety and whether it’s safe to use. Is there a confirmed report somewhere that states it’s completely safe.